Having led the Formula 1 race from start to finish and pulled a gap of almost 21 seconds to second places Lewis Hamilton. No one can deny that Bottas is here to stay. Esteban Occon, reserve driver for Mercedes, is probably the only person not happy with the result. Ferrari and Mercedes came into the race weekend with what looked like equal chances of winning. Ferrari lacked pace all through the race which was evident when Redbull’s Max Verstappen passed Sebastian Vettel in his Ferrari on lap under DRS. While Vettel, under pressure from Verstappen entering the lap, got it bent out of shape into turn 1, it was clear that the Ferrari didn’t have the pace to hold Verstappen up. Lewis Hamilton clinched pole position on Saturday but it wasn’t enough to keep his team mates Mercedes from passing him into turn 1 at the Melbourne circuit. Charles Leclerc almost overtook Sebastian Vettel in his Ferrari down the straight but had to back off to avoid a collision. The only “crash” at this Formula 1 Grand Prix was Daniel Ricciardo who was forced onto the grass down the main staright and lost the front wing of his Renault. Before the first round of pit stops, Carlos Sainz’s Mclaren Renault suffered an engine fire. Speculation was the MGUK was the cause. Pit stops started earlier than prediucted before the race with Ferrari’s Vettel pitting on lap 15. This in an attempt to undercut struggling Lewis Hamilton. This strategy however didnt pay off as the Mercedes team immediately responded by pitting Lewis Hamilton. Lewis went on to do a terrible outlap at 2 seconds slower than his rival Vettel. The moves from Ferrari and Mercedes seemed to start a pit stop frenzy as most other teams began pitting earlier than usual. Romain Grosjean in his Haas Ferrari had left front tyre issues at the pit stop which lost him 17 seconds. Bottas strategically pitted in lap 23, coming out ahead of Leclerks Ferrari which was crucial to ensuring Ferrari didn’t hold the Mercedes team up. When Leclerc finally pitted on lap 29, he went out on a different startegy to Vettel with hard compound tyres. Suprisingly, Leclerc lapped faster than Vettel on the white walled hard tyres which suggests that Vettel could have had car trouble all the way through the race. Both Hamilton and Vettel were complaining about the car and pace and with almost 21 seconds between the race leader and Hamilton, this seems to have merit. Further supported by the ability of Leclerc to outpace Sebastian Vettel’s Ferrari in this Formula 1 race at almost 1 second per lap. Leclerc, possibly proving a point, raced right up to the back of Vettel’s Ferrari on lap 51. Then when within 0,5 a second of him, backed off. Almost as if to say “I could have passed you”. With the drivers able to now earn an additional 21 points for the fastest lap, it was touch and go between Bottas and Verstappen. But in the end Valtteri Bottas took the fastest lap and clinched the additional point. It was 6 podiums in a row for Verstappen, this is one to watch as he outpaced his team mate all weekend and continues to show that he can contend with the “big boys”. Let’s hope he keeps a cool head this season! No Australian has ever won the Australian Formula 1 Grand Prix which is a pitty as Daniel Ricciardo’s race ended on lap 31, before the final checkered flag. 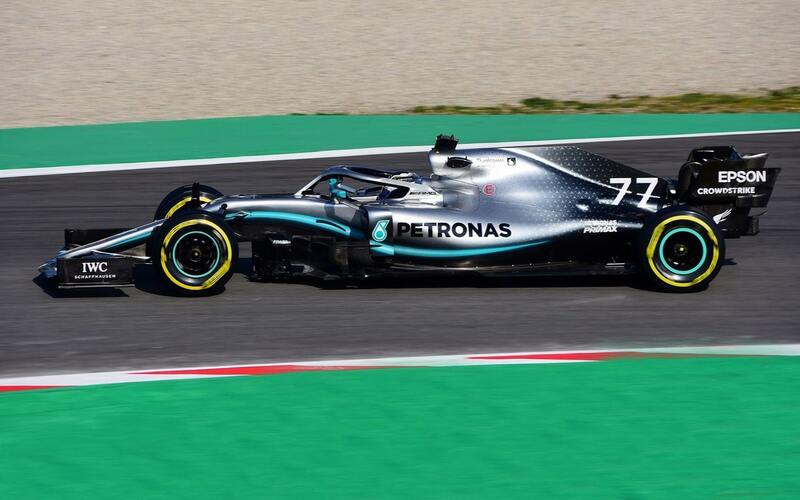 Finally, this is a very tricky track to overtake and not much should be read into the effectiveness of the changes to the front and rear wings of this years Formula 1 cars. Let’s give it a chance before judging the FIA!